Look! Filter coffee in the same design as our new generation of automatic coffee machines. The perfect match and addition to the range. Is it making a come-back? Well it never really went away, as it is still the most frequently drunk coffee in Germany. But now it is no longer hiding away: Look! Filter coffee in the same design as our new generation of automatic coffee machines. The perfect match and addition to the range. It's fun to use: The robust touch display made of high-strength polycarbonate combines all functions – easy to understand with illuminated symbols (LCD operator panel, LED signals). 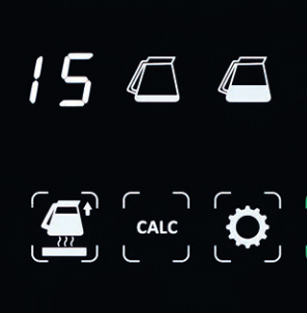 The programme button offers more options: You can pre-brew the coffee first – so the ground coffee can swell up – releasing a more intense aroma at the end. And you can set the heating period. 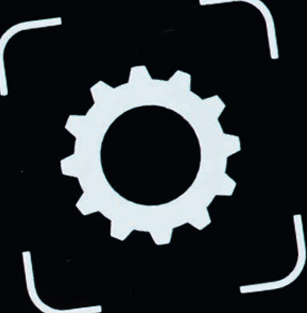 When this has expired, the machine automatically switches to stand-by mode, saving electricity. How strong do you want your coffee to taste? The patented AromaSelector® allows you to vary the strength. 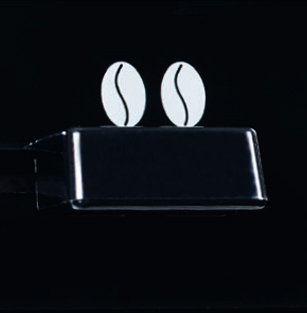 This changes the flow of water and therefore the amount of time it is in contact with the coffee grounds. 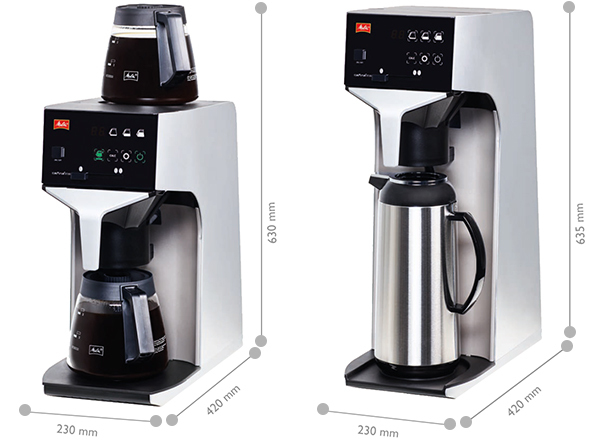 Refined aluminium side walls (anodised and shot blasted), robust touch display made of high-strength polycarbonate, ABS filter unit (dishwasher safe), painted stainless steel front: The Melitta® Cafina® XT180 reveals itself with an elegant profile, which looks appealing to hosts and guests and brings the coffee experience to life. With or without water supply connection, with glass jug (1.8 litres/15 cups) or insulated jug (1.9 - 2.2 litres), brews up to 125 cups of fresh filter coffee per hour.